C. The rug we just picked up at Ikea! If you answered C you win! Half points if you answered A since I don't really know what Swedish soccer fans chant. I guess it could be Lappljung Ruta...? Anyways... 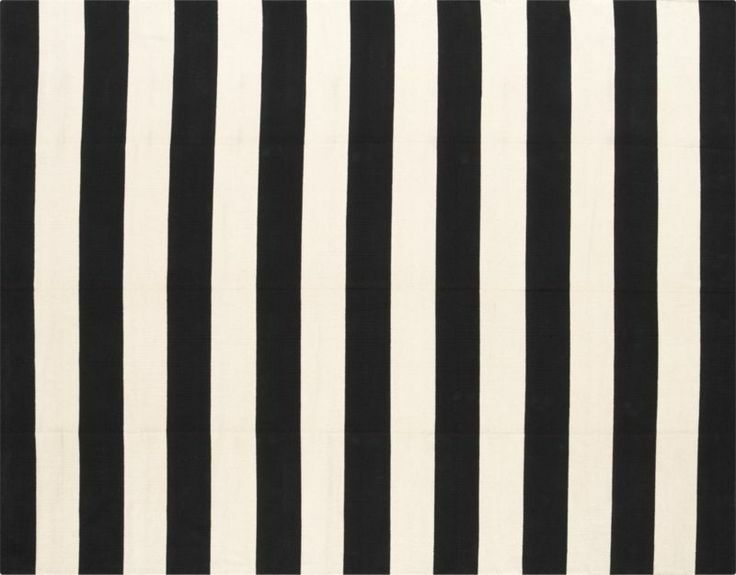 This black and white Ikea rug really grounds our living room now. The soft, neutral Persian rug we had before was very pretty, but with all white/off white furniture, the space was too light. Nothing was tying the space together. Aside from the aesthetic side of things, I have really defined my style much more specifically over the last year. When defining my particular furniture refinishing and home decorating style I have used the words 'edgy' and 'eclectic' over and over again. Now I think the living room is finally lookin' like what I've been talkin' about! The cute two-door cabinet has had several transformations - first I painted it white and didn't care for it. Then I painted it a custom grey which worked out really well for over a year. But as the room started to come together I noticed that the gray I made had too much purple in it. So I painted it a verrry light Duck Egg blue, (1 part Duck Egg + 8 parts Old White, both by Annie Sloan Chalk Paint). Lovin the super light Duck Egg distressed down to the soft grey. Once again, it's a perfect piece for this room, (and has been a helpful storage place for the kids' puzzles and craft supplies)! The sweet bud vase was a last minute $1 purchase from Target in their dollar section. One of Cate's gifts to her bridesmaids in the wedding were these little clear glass ornaments which she filled with moss. I think this sweet promise of Spring and new life is worth keeping out all year long! Plush duck egg blue velvet pillows, (20x20), were a lucky find at Ikea for $5! And that wasn't even a clearance price, (they had several other colors when we were there just a week ago)! My answer to fresh art above our old church pew. More on this creation later this week! -Q&A - if you have ANY questions about anything in our living room, please feel free to comment below or email me at chelsea@stylemutthome.com! I'll post the questions, (anonymously), and my best shot at answering them at the end of the week. 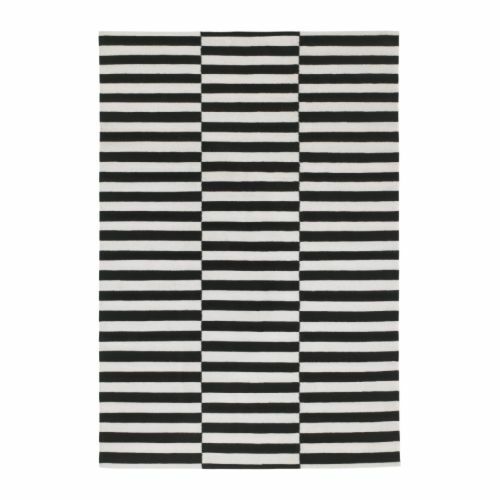 In "Lappljung Ruta rug", "black and white living room rug", "bohemian living room decorating", "decorating with the Lappljung Ruta rug", "eclectic living room decorating", "living room with Lappljung Ruta rug"